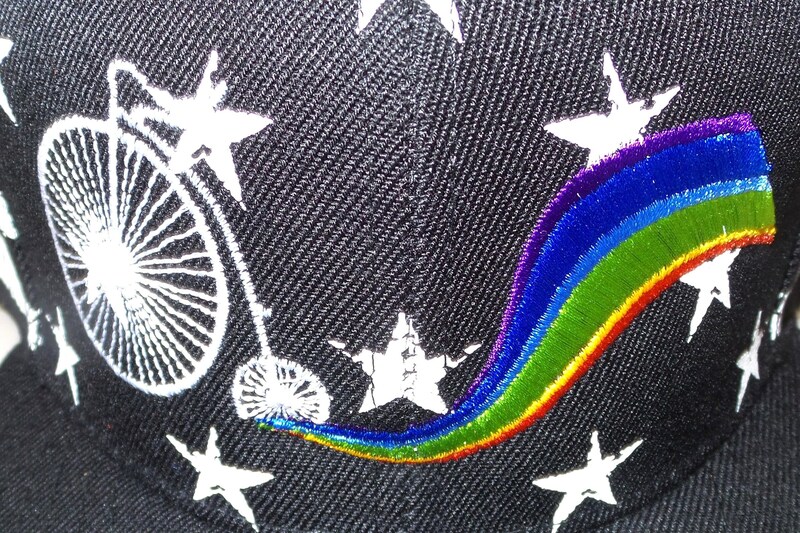 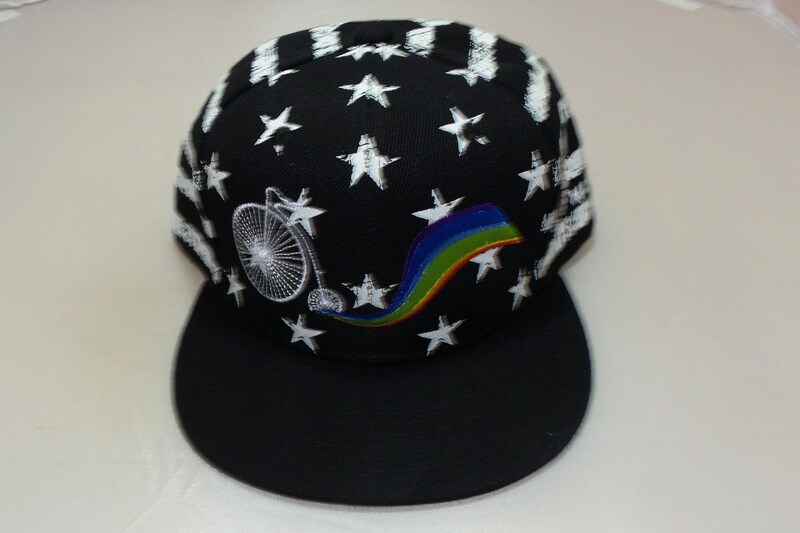 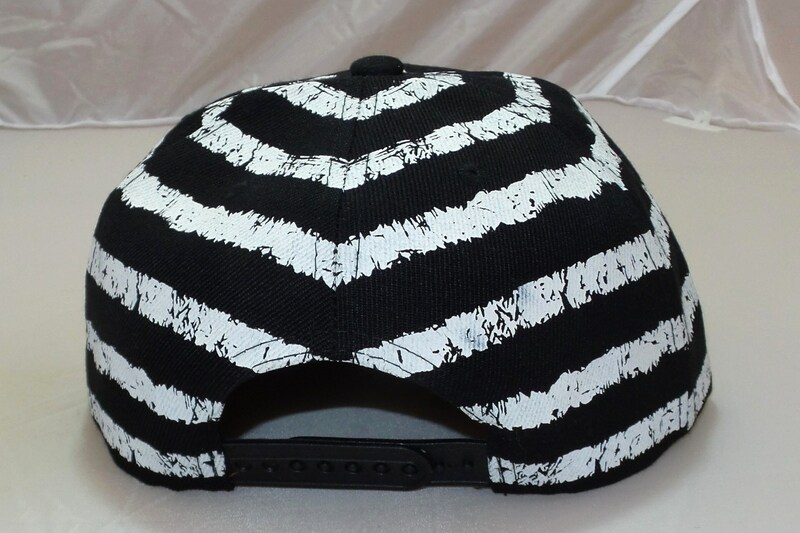 Old fashioned bike pealing out a rainbow, embroidered on a stars and stripes print snapback flat-brim hat. 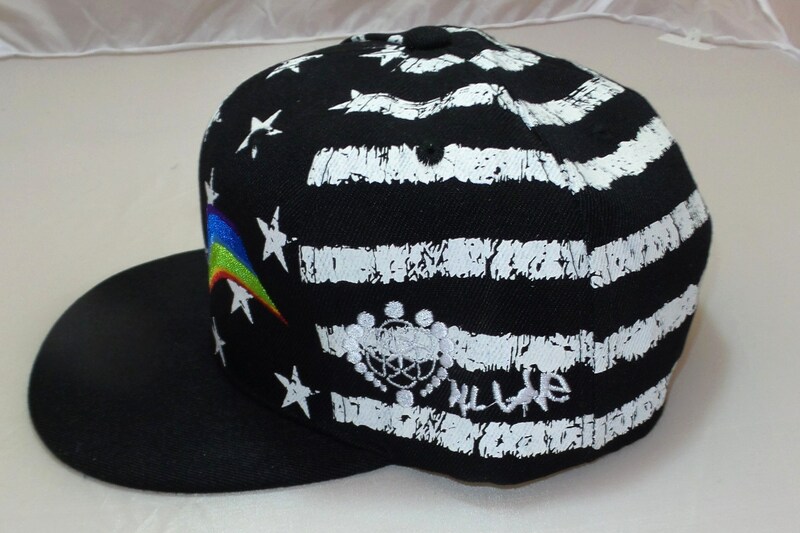 Logo with the words "All Love" embroidered on the side. 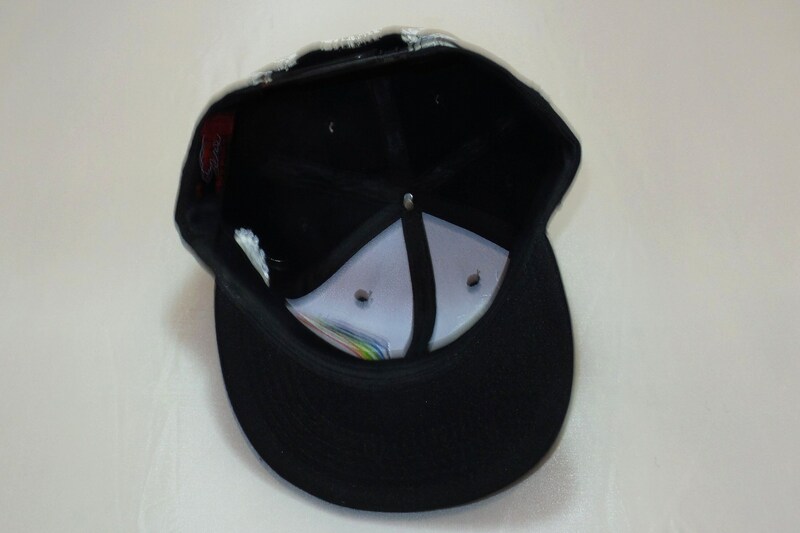 One-of-a-kind.